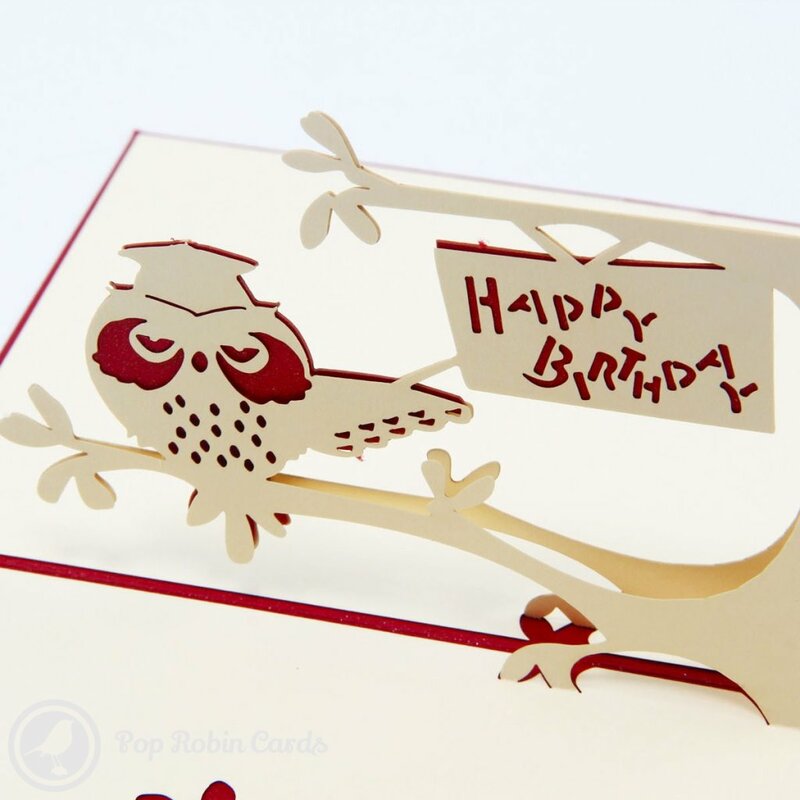 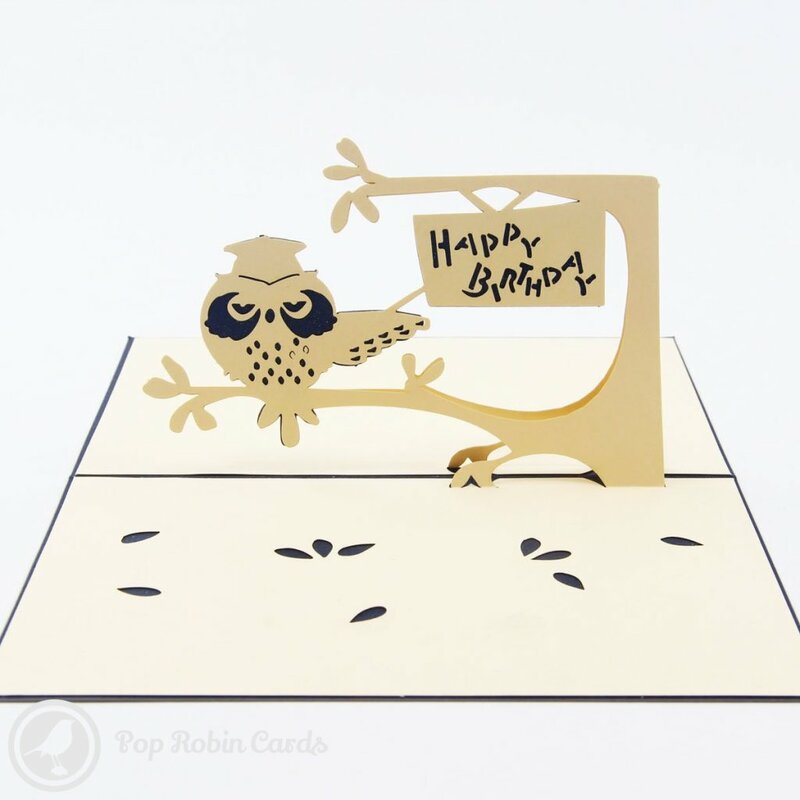 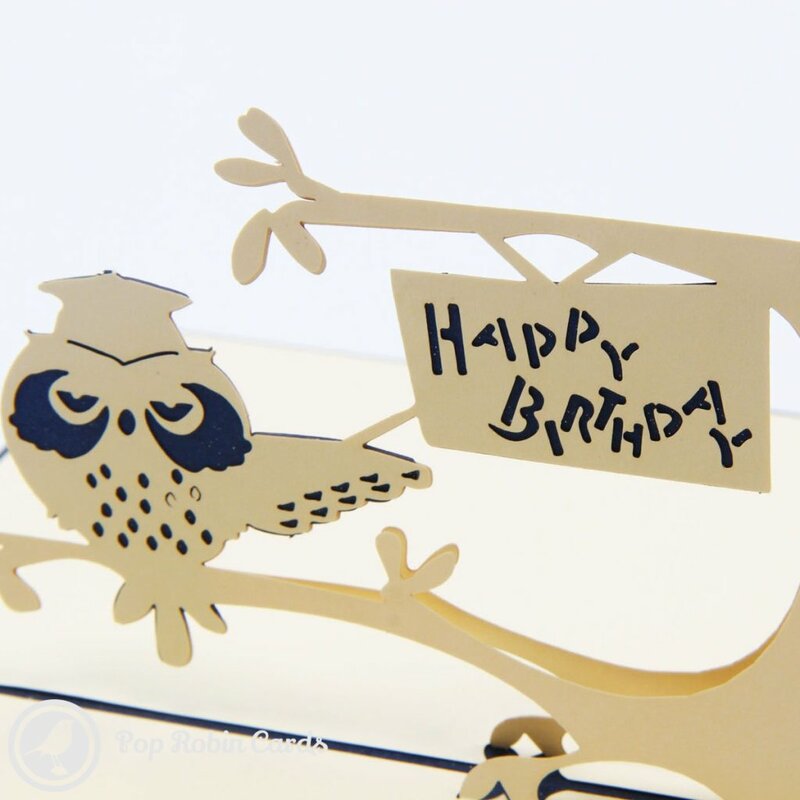 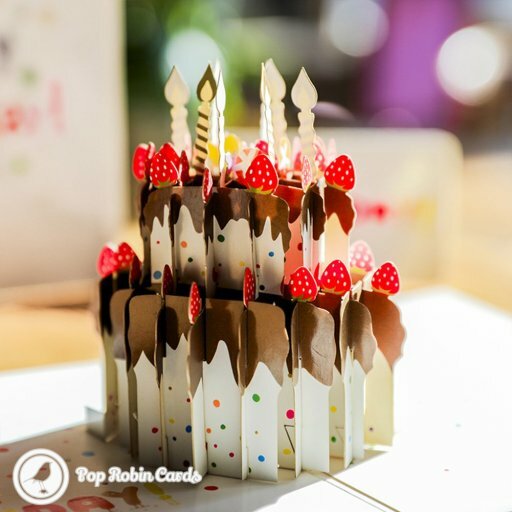 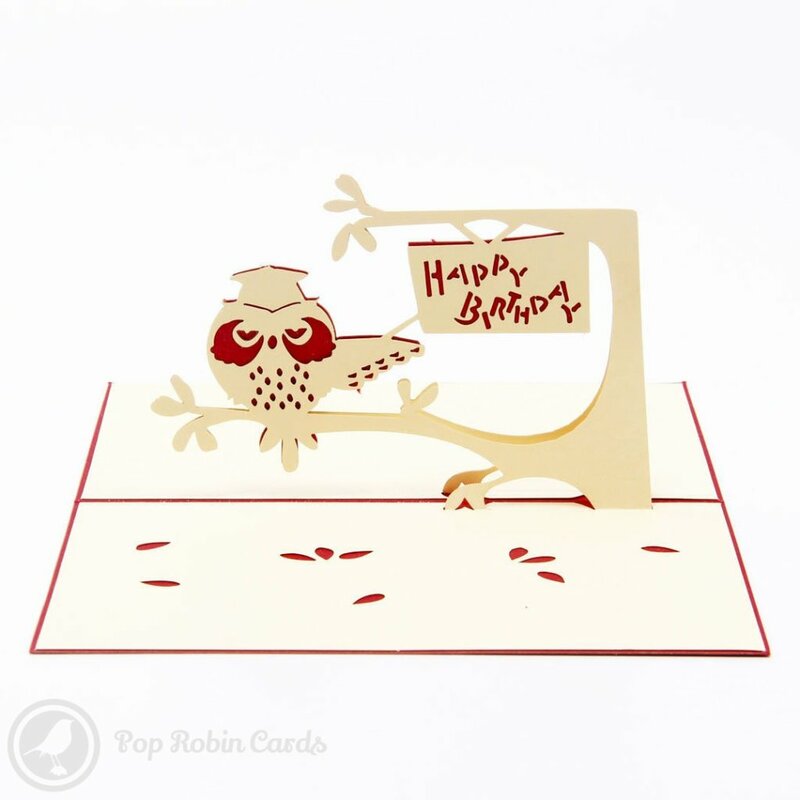 This smart greetings card shows an owl wearing a graduate's cap sitting on a tree in a 3D pop-up design. 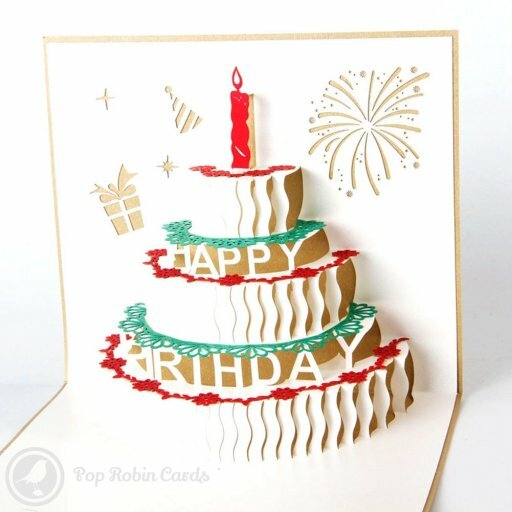 A sign reading "Happy Birthday" is shown higher up in the tree. 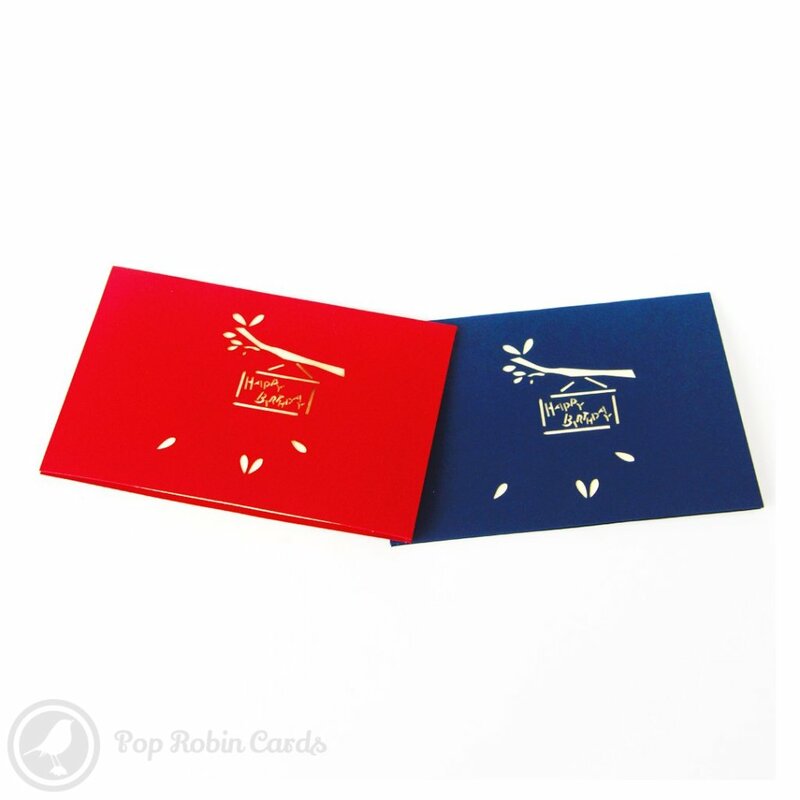 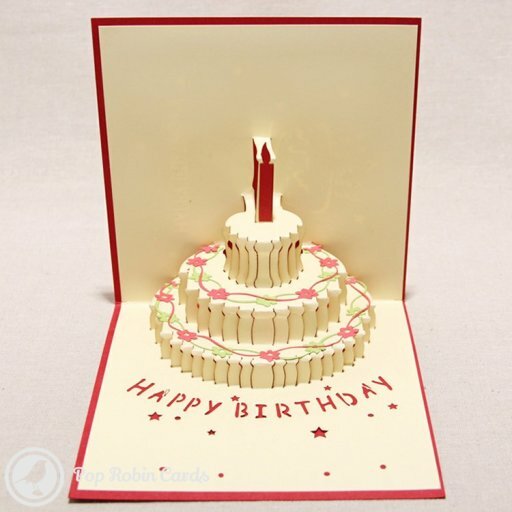 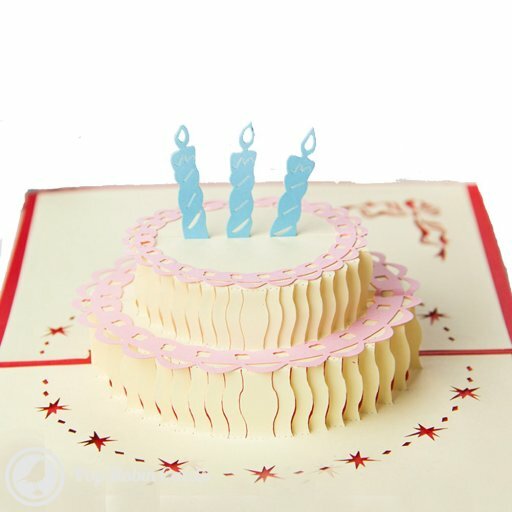 This is a perfect birthday card for an aspiring student or recent graduate, and is available with a red or blue cover.